An easy way for you to keep your account information at your fingertips, anytime and anywhere, on any device. From our client centre, you can find the latest insurance resources, view updates on your claim information, access your personal liability pink slips, download the Rhodes & Williams app, and log into your account via our secure client portal. Put extra peace of mind in your purse or pocket and download the Rhodes & Williams app to your smartphone. 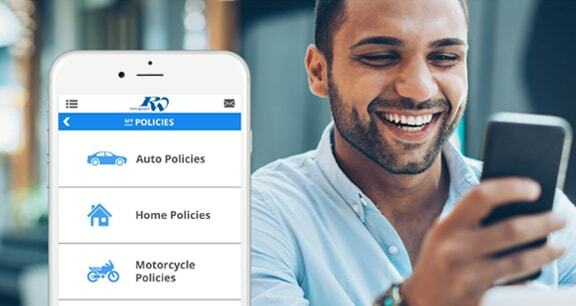 The app lets you conveniently view and manage your policy whenever you’re on the go. You can also request policy changes, submit a claim, receive important policy updates, view payment details – even receive important weather updates. It’s just one more way for you to customize your Rhodes & Williams experience. Sign in to view and manage your policy, important documents, claims, and payment information.